With just over a week before Christmas, you may be starting to sweat about how to pick up those last few gifts and prep your home for holiday guests. Indeed, procrastinating is one of the biggest spending pitfalls during what's supposed to be a jolly season! When time becomes crucial, budgets and price tags are often ignored in favor of the easiest and fastest gift options available. To keep your cool and get gifts in time without dishing out more cash than you planned, follow these time-sensitive tactics for shopping late in the holiday season. While some retailers are already prepping for the holiday season, most of us have our minds on fall festivities. A recent study showed spending on Halloween will be close to $7 billion this year. Of that, over $1 billion will be spent on costumes for kids. Thankfully, you don’t have to spend an arm and a leg to ensure your kiddos have a happy Halloween. Check out these seven ways to cut the cost of costumes without eliminating all the fun. Did You Know your chances of winning the lottery are staggering—about one in 175.2 million. You're more likely to die from a bee sting (one in 6.1 million), be struck by lightning (one in 3 million) or have conjoined twins (one in 200,000). Yet millions of people each week venture out to purchase a chance for a new life. It’s a scary thought, but it won’t be long before the holiday shopping season is in full swing. Christmas Creep is already setting in as trees and tinsel emerge in the aisles of your favorite stores. While few of us welcome this pre-Halloween intrusion, it serves as a good reminder that it’s never too early to start planning your holiday budget. Try these tips to get your finances in order now so you’re not facing a massive credit card bill come January. When you think about living frugally do thoughts of sacrifice and deprivation come to mind? If so, then it’s time to change your mindset and embrace the fact that frugal living is less about depriving yourself of things and more about living smarter so you can afford the life you want to live. According to the National Retail Federation's 2013 Back-to-School Survey, families will shell out less than they did in 2012 for school gear, but still an average of $634.78 for clothing and shoes, electronics, and other school supplies. One-way parents can save money is by taking advantage of temporary tax breaks offered on back-to-school items. In today’s tight economy consumers are finding it crucial to be spend-savvy and creative in their holiday shopping. Following are some tried and true cost-cutting holiday shopping tips, as well as some new and innovative ways to save money this holiday season. Have you set-aside ample time to regularly sit down and have “money meetings” with your children to discuss their money habits? If not, why not start now? 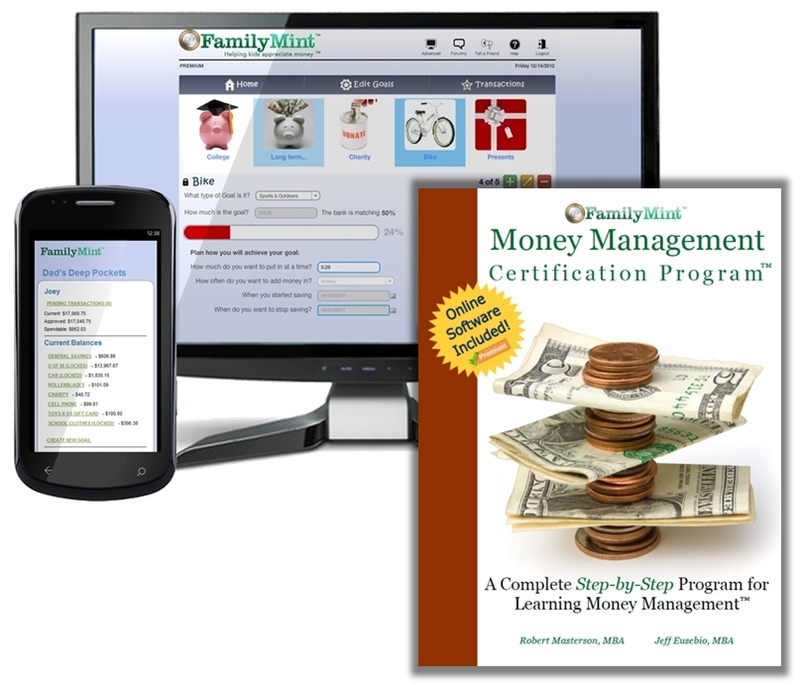 And in addition to a successful school year, your children will also learn life long positive money habits. Parents are set to spend $688 in 2012 to get each of their children ready for the upcoming school year. That’s for clothing, supplies and electronics. Seems like a lot? That's nothing, online shoppers are set to spend $874, a 27% increase above the overall shopper average. Here are 5 really simple ways your kids can help you cut down on back to school costs. Once upon a time there lived a little girl who was loved so dearly, and it could be seen very clearly. Her name was Little Red Riding Hood, a girl so sweet and so good. Her parents gave her all the best, but did they truly prepare her for her first big test? She was popular and had many a friend, but unfortunately did not learn how to wisely save and spend. Christmas and birthdays are often a time when kids get a windfall of cash and gift cards. Should you let them run right out and spend it all? Whoa. Not so fast. An incredible teaching opportunity for your kids has just presented itself. Check out Bob's interview with Murray Feldman on Fox 2 Detroit about teaching your kids how to handle the gift of money. I'm giving my 6 year old a cell phone for Christmas. Whoa! Hold on. Let me explain. My daughter is really 6, and it's a real cell phone, but it's not going to have any cell phone service. I'm "repurposing" a gently used Android cell phone to provide a FREE and pretty darn sweet handheld gaming device for her for Christmas.